Although Sigourney Weaver has had an amazing career in Hollywood, fans still fondly remember her role as Ellen Ripley from the Alien franchise. Weaver played the character over the course of four movies, finishing her time in the film series with the 1997 sequel Alien: Resurrection. 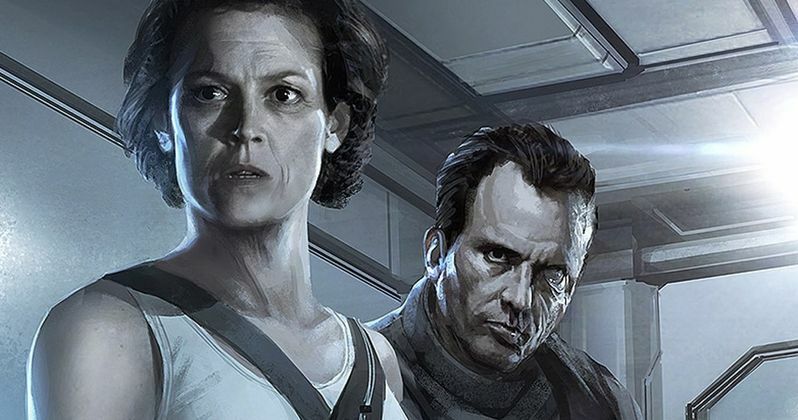 Over two decades later, Neill Blomkamp had a plan to direct a sequel featuring the return of Weaver as Ripley, and the actress was on board to reprise the role for what has been refereed to as Alien 5. Unfortunately, 20th Century Fox chose not to move forward with the project, and its cancellation was announced in 2017. It's hard not to imagine what could have been, especially after Weaver's recent revelation that Aliens director James Cameron gave the film his seal of approval. "We almost started to do it when I was working with James Cameron. But by the time we were put off by Fox, Neill had gotten so many jobs that we'd have to wait probably. I'm busy doing Avatar 4 and 5. I love working with Neill and I think he'd do a terrific job, and James Cameron really thinks it's a great idea, so you never know. Right now, I think Neill's got like three projects going at once." The scrapped film would have served as a direct sequel to Aliens, thus ignoring the events of Alien 3 and Alien: Resurrection. Full details on the plot of Blomkamp's story aren't known, but concept art from the film suggests the return of Aliens survivors Newt and Hicks as well. With both of those characters being unceremoniously killed off in the beginning of the third movie, this would have been awesome for the fans unhappy with Alien 3's direction. Weaver's return as Ripley alone would have been a major selling point, but a better outcome for these other fan favorites only sweetens the deal. While Sigourney Weaver isn't saying the proposed sequel will never happen, it doesn't seem likely to occur anytime soon. Weaver is still working with Cameron, as she's currently busy filming for multiple Avatar sequels, and Fox hasn't given any indication of pulling Blomkamp's Alien 5 out of development hell. A sequel to last year's Alien: Covenant is currently in the works, with these films serving as prequels to the original film in the series. Weaver could possibly show up in the film in some kind of cameo, but it would have to be done with the help of CGI, unless she's playing a different character. Fortunately, fans were still able to see Weaver reprise the role one more time, albeit for a comedy sketch. Last year, the actress appeared as Ripley on The Late Show with Stephen Colbert, which sees her having a confrontation with Colbert's medical worker character after he provides her horrendous customer service. It might have been for the sake of a spoof of the series, but it was undoubtedly awesome to see Weaver in the Ripley getup once again. 20th Century Fox no doubt noticed the big money Halloween raked in at the box office, further popularizing the new trend of direct sequels to classic films. With the upcoming Terminator sequel doing something similar by bringing back Linda Hamilton as Sarah Connor, it would seem now would be a fantastic time to do a follow-up to Aliens. If Blomkamp is still interested and if Weaver's schedule allows, hopefully we can actually see this movie happen. This information comes to us from The Hollywood Reporter.